A reappearance of El Nino weather conditions in the eastern Pacific is just what the global shrimp market doesn’t want to hear right now. 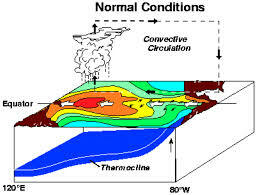 Equatorial sea surface temperatures are above average across most of the Pacific Ocean, indicative of a weak El Nino, according to the US National Oceanic and Atmospheric Administration. Pond temperatures that are currently 2 degrees Celsius higher on average will begin to affect market conditions in the next couple of months as farmers harvest bigger-than-average sizes, one major exporter told Undercurrent News. Shrimp production is largely expected to outweigh demand in 2019, according to several experts and the official forecast of the shrimp panel at the Global Seafood Market Conference (GSMC). Major players Indonesia, Vietnam, Ecuador, Thailand and Mexico are all expected to raise output, even though top producer India is flat. US importers have also lowered imports as they work off high inventory. Ecuador’s average selling price of $2.85 per pound in 2018 across all sizes was almost at breakeven, with several smaller companies in the industry operating at a loss. The larger companies tend to obtain higher selling prices. Industria Pesquera Santa Priscila, the largest exporter, achieved an average selling price of $2.90/lb in 2018, while Omarsa with its higher ratio of value-added products got $3.09/lb, according to customs data. Current prices have trended much lower. The average selling price for Ecuadorian shrimp in February dropped to an average of $2.67/lb, compared with $2.96/lb in the same month last year, according to customs data obtained from a source. Ecuadorian exports surged 23% to 187.9 million lbs in the first two months of 2019, from 153.2m lbs in the prior year period. Despite the price slump, the value of overall output rose to $502m in the first two months, from $454m in January to February, 2018. Prices for 30-40 count were trading at $6.40 per kilogram at the time of the Boston seafood show, according to one source. Prices for the 40-50 range were $5.60/kg and 60-70 at $5.50/kg, the source said. A second source confirmed the prices, except that the 40-50 count is currently trading at $5.90/kg. Ecuadorian output surged to 471,027 metric tons live weight in 2018, compared with about 219,412t in 2013, principally on more acres used as farms, and farming improvements. Major feed producer Skretting predicts Ecuador can keep ramping up supply as producers optimize feeding methods with technology. 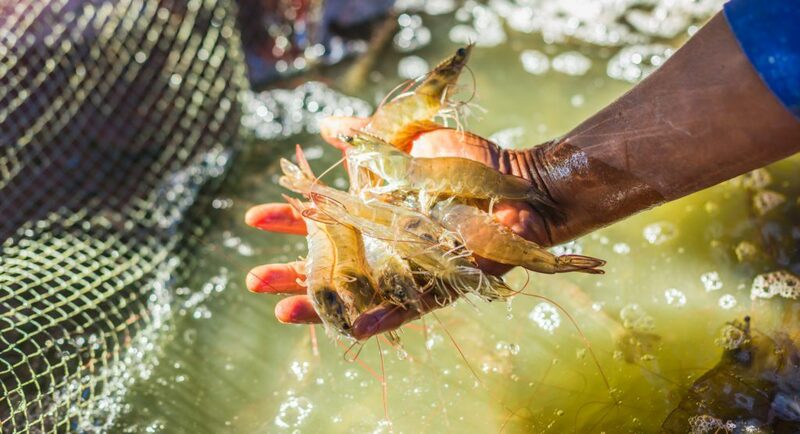 The Ecuadorian industry has aligned behind the Sustainable Shrimp Alliance (SSP), a marketing and sustainability initiative aimed at promoting the antibiotic-free production process used in low-density Ecuadorian farms. Some farms began to ship SSP-certified shrimp using a verification process designed by technical standards organization ICONTEC. Santa Priscila and Omarsa were among companies to have farms certified under the new SSP process. One positive for the Ecuadorian exporters is that more importers are receiving shipments directly at Chinese mainland ports as authorities get tougher with smuggling through northern Vietnam. February shipments were 37m lbs to China and 26m lbs to Vietnam in February, a 60/40 mix and the first time more than half went directly to China. Shipments to Vietnam will probably disappear altogether this year, the major exporter said.